Þórir Guðmundsson and Jóhanna Jónsdóttir are back in Iceland after taking part in rescue missions in the Mediterranean. Guðmundsson says this is the hardest project he has ever undertaken but that it's important to remember that 1,107 lives were saved. 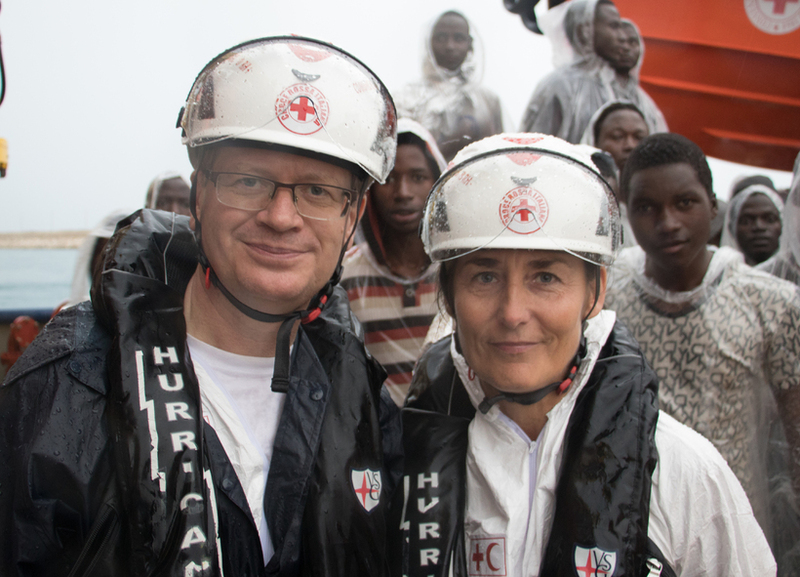 Guðmundsson and Jónsdóttir were representatives of the Red Cross in Iceland taking part in rescue missions organised by the Red Cross international and the Red Crescent society (IFRC) in the Mediterranean sea. 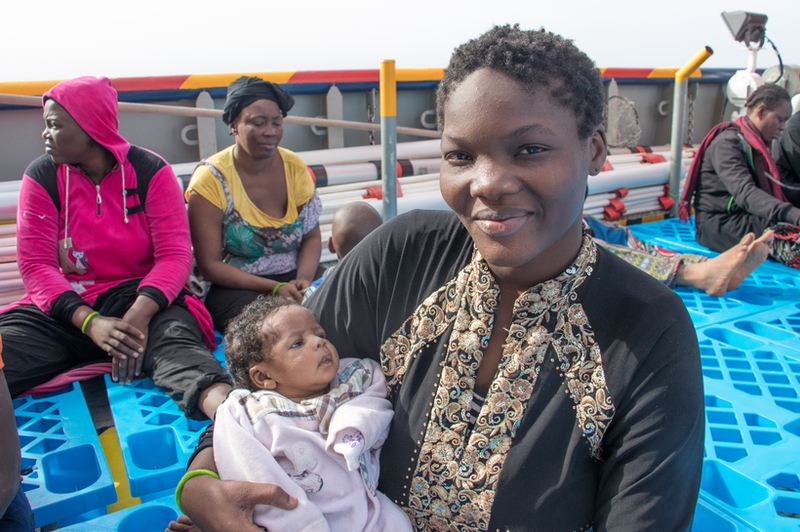 Their team saved 1,107 refugees in the space of two weeks. "We found the first boat on November 13th. It was a tree boat with 28 passengers from Bangladesh. The smugglers had told them it would only take a few hours to sail to Italy from Libya. They would never get across to Italy on these boats. They are just sailing into open death." He says that when the men found out that the distance was 500 kilometres their jaw dropped. "They just looked at the sea and said, we would be dead if you hadn't found us. He explains that the refugees mostly travel on two kinds of boats, tree boats with space for 24 people and rubber dinghies with space for around twenty people. 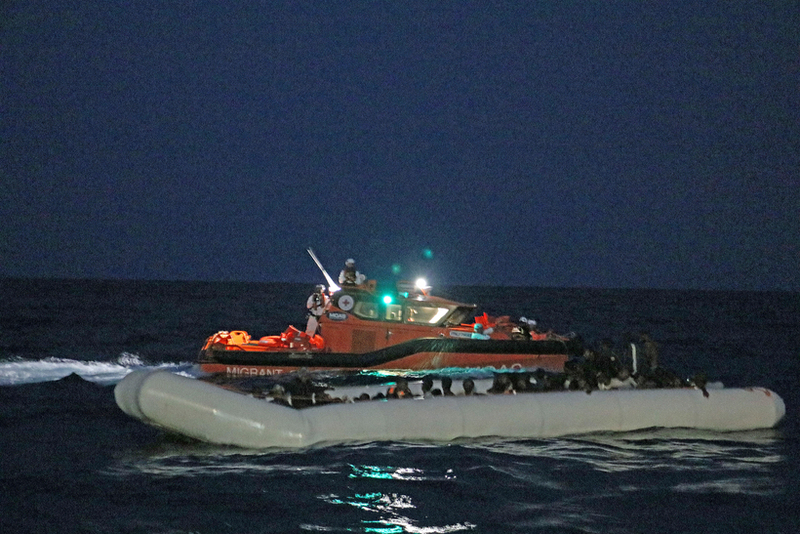 "The smugglers put 150-170 people into the rubber dinghies." 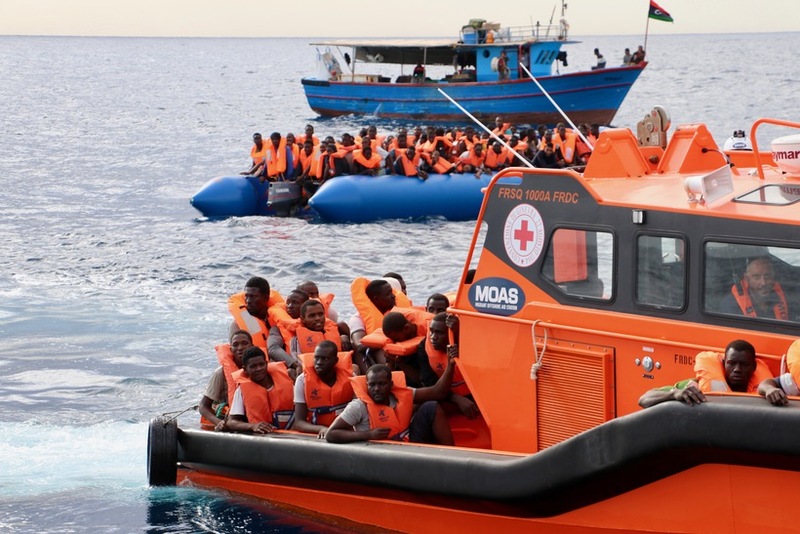 Their team sailed around an area outside Libyan territory looking for boats. "Usually they head out at night to get past the Libyan coast guard. That takes them the whole night, and then they're past the coastguards." 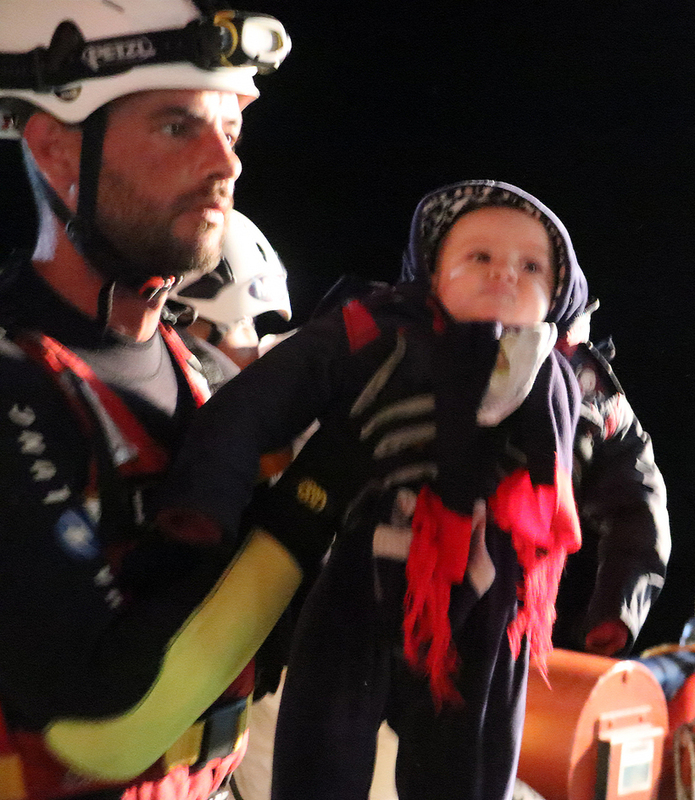 When people are rescued they are often close to death. "The last rescue is probably the mos memorable one. We arrived at a rhubber dinghy which was half sunk, one side stood out of the sea and the rest was around one metre into the water. People were clutching onto the remains of the boat when we arrived. " He says probably dozens of people drowned before they arrived. 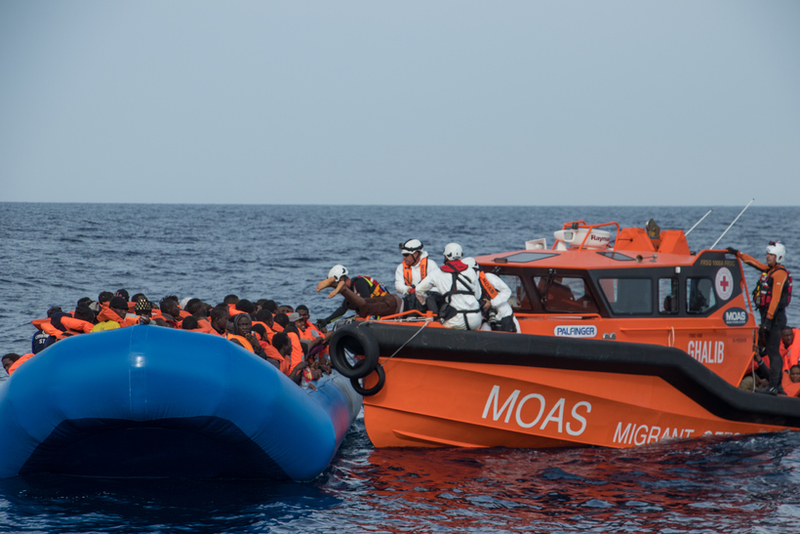 "They had spent around ten hours in the boat and it had been in that state for many hours before we arrived." 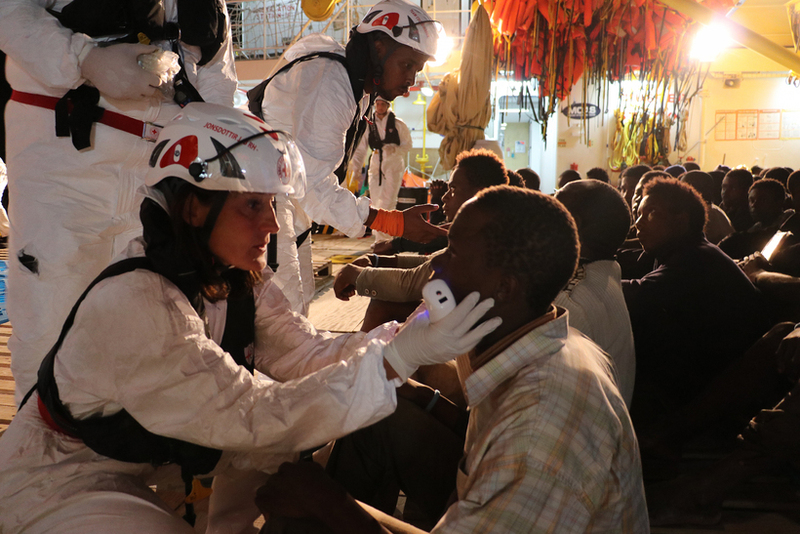 He says many people were close to death but were revived once aboard the rescue ship. "One drowned. Resuccitation efforts were not successful. " Guðmundsson believes many Icelanders can connect with the perils of the sea due to our history. 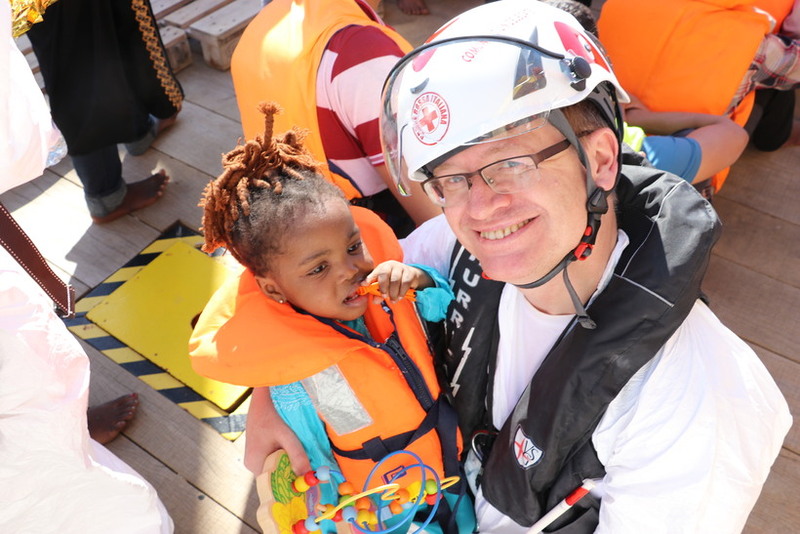 "Although we now have much more advanced rescue possibilites many people sill have parents or grandparents who remember times when a dozen people every year would perish at sea." He adds that it's really important that the public supports the Red Cross, and for the rescuers to feel that support. You can donate to the Icelandic Red Cross by calling 904-1500 for 1500 ISK, 904-2500 for 2500 ISK and 904 5500 for 5500 ISK. Below you can see some photographs from Guðmundsson's two weeks in the Meditteranean.